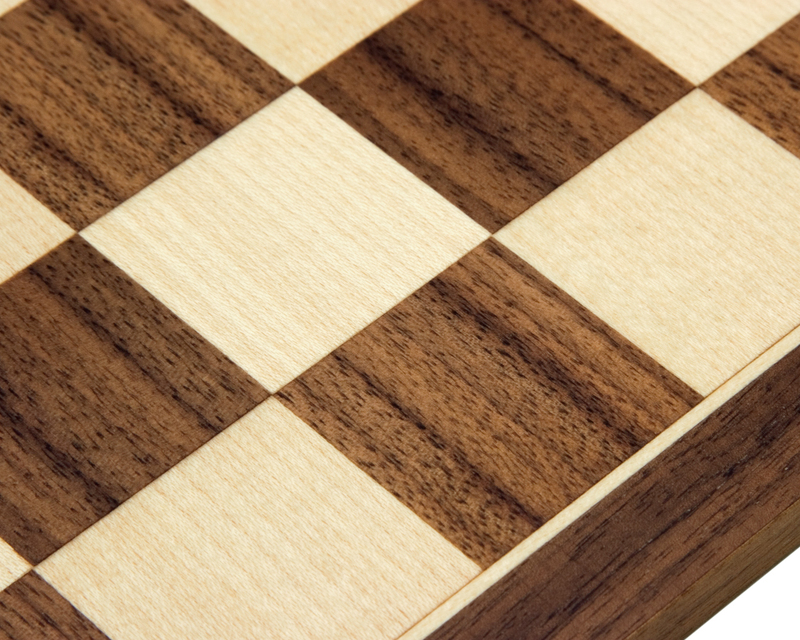 High quality Walnut and Maple. 13.75 inch board (35 cms). 1.5 inch playing squares (38mm). Ideal for a king height of 3 inches (76mm). 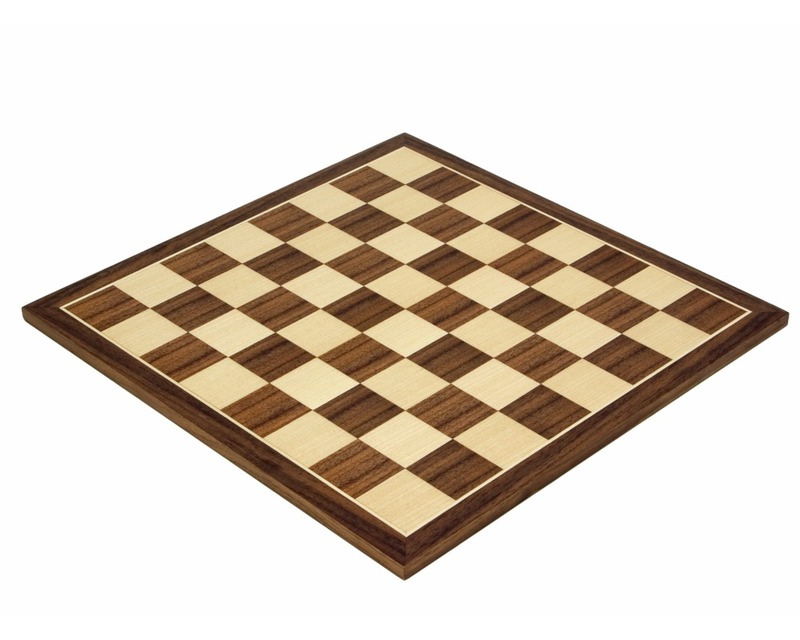 Excellent quality chess board produced by reputable chess board manufacturer Rechapados Ferrer S.A. of Spain. 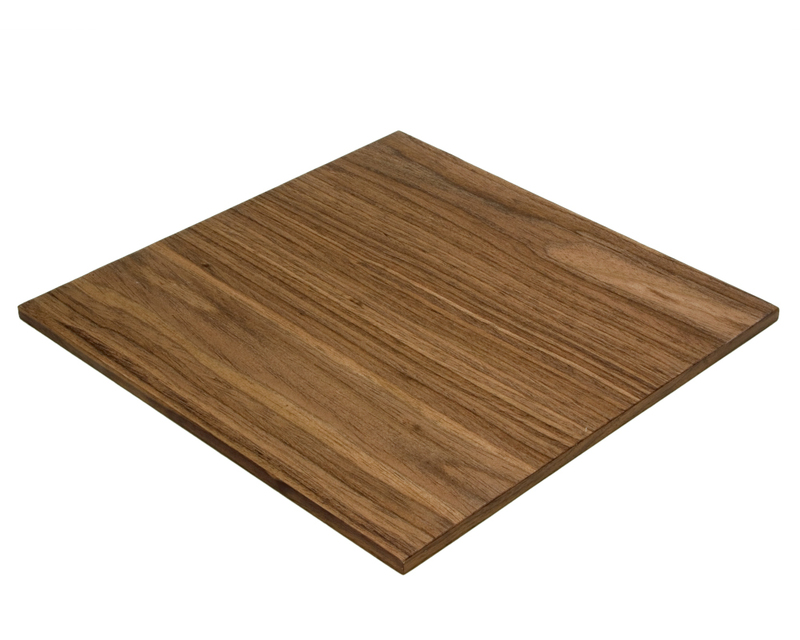 Quality Walnut and Maple veneered construction using modern fabrication techniques has produced a board with sharp lines, meticulous detailing and a clean modern look. 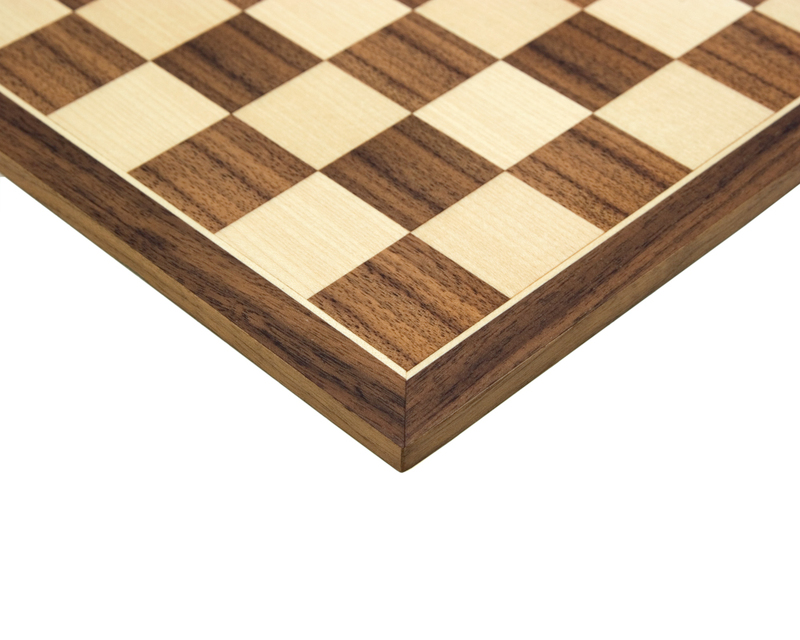 A perfect companion for our chess pieces with king heights of 3.0 inches (76mm). "Fabulous quality - genuinely delighted - thank you. " "Excellent quality. Very well made and finished."